The Omnii™ XT15 mobile computer is uniquely adaptive by design – combining extreme versatility with open innovation to deliver the flexibility you require to adapt as your business needs change. 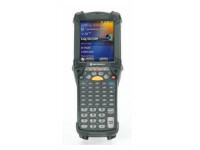 With its certified IP67 rating, the Omnii™ XT15 is also the most rugged handheld device Psion has ever made – delivering reliable performance and unparalleled adaptability for the most demanding of environments and applications. 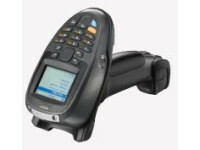 The Omnii™ XT15 comes with the option of Windows® CE 6.0 or Windows® Embedded Handheld 6.5 operating systems, both of which integrate seamlessly to automate key processes and boost productivity in real-time. 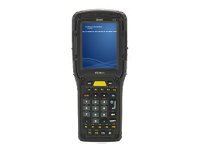 Plus, it is certified IP67 and is the most rugged handheld device Psion has ever made, so it will work wherever you take it. Omnii™ XT15 is always fit for purpose, so you can configure it the way you want and later bolt on what you need. This allows for future-proof flexibility as hardware can be reconfigured – and not replaced – saving your business up to 30% on lifetime total cost of ownership. 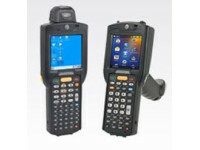 Psion understands how to make mobile workers more productive in the harshest of environments and we have designed all elements of the Omnii™ XT15 to reflect that expertise. Built with the new Texas Instruments® AM3715 Sitara ARM microprocessor and a Psion designed Custom ASIC architecture, Omnii™ XT15 delivers industry-leading performance and efficiency with an extended battery life of up to 19 hours. 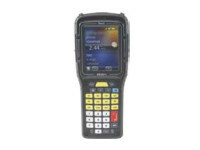 The 3.7″ VGA colour display allows for improved worker visibility and the 95db keypad beeper with vibration feedback is perfect for loud industrial environments. Ergonomics are crucial to ensuring mobile workers are efficient and effective on their jobs. The Omnii™ XT15 features a balanced construction that is perfectly weighted for comfort, practicality and Natural Task Support. Furthermore, Omnii XT15 is equipped with PsionVU software and transflective touch screens that enable a friendly user interface. • Advanced device security, user authentication and lockdown features. • High Visibility option offers superior sunlight visibility with 165 cd/m2 brightness. • Extreme Duty option is designed for rugged environments with improved impact resistance (1.25 Joule impact), better abrasion resistance, superior low temperature operation (to -20°C / -4°F), with 160 cd/m2 brightness.